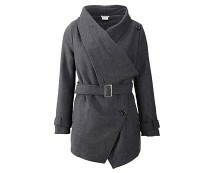 If you are looking for a winter coat that offers both style and comfort, then this is the perfect jacket for you! 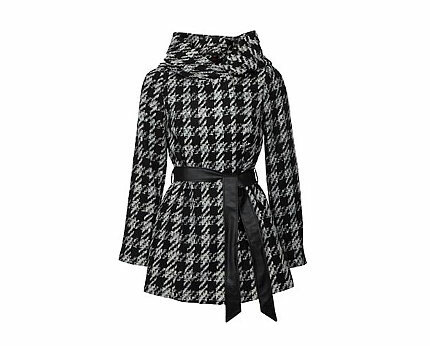 The stylish houndstooth print is a real statement, it’s a timeless classic that will never go out of fashion and it will always remain chic. The snood design neck offers something different; it adds interest and makes a jacket like this stand out from all the rest. Snoods simply offer a cool, classy laid back kind of feel to anyone’s style. The PU faux leather waist cinching belt fits nicely with the currently growing popular trend of contrasting. We are seeing a lot of faux leather combined with other fabrics at the moment and this jacket is another fine example. Perfect for keeping the cold at bay! 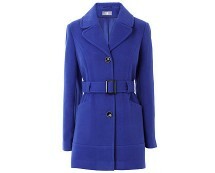 You are sure to look right on trend in a statement jacket such as this that will see you through till spring. Sizes are available from 6 to 18.